Increasing use of new technology, such as Volkswagen's Digital Cockpit, means the days are numbered for many interior features. For decades, drivers could count on a few interior features to be consistent from one vehicle to the next. An easy-to-find lever to shift the transmission. An easy-to-grab knob to adjust radio volume. A big crank by their knee to open and close the window. Hardly anyone mourned the loss of manual windows — though a few of those anachronisms are still out there, tucked in the bargain corner of some dealerships' lots — but automakers are increasingly hitting resistance from consumers as they try to streamline and modernize their vehicles' interiors. In some cases, they hurriedly backtrack after discovering that the sleek new instrument panel meant to make rivals' look stale instead threatens to drive away buyers. For some, no CD player can mean no sale, despite the salesperson's repeated attempts to explain that the voice-controlled, 19-speaker, premium audio system with Bluetooth connectivity and Apple CarPlay works better. "The shift in technology is enclosed within that cockpit," said Mark Boyadjis, an automotive user experience analyst with IHS Markit. "What automakers are looking at is new ways to drive customer engagement, brand user experience and to clean up the interior." In the eight years since MyFord Touch became the poster child for frustrating dashboard redesigns, automakers have learned that just because a new technology or feature helps create a fresh, snazzier look, customers are not necessarily going to love living with it every day — or at 100 km/h. Witness the humble audio volume knob, which some automakers excitedly replaced with touch-sensitive sliders. But the tried-and-true, if dated-looking, way to turn the sound up or down with minimal distraction is very much alive in most 2018 models. American Honda relented on the 2017 CR-V and 2018 Accord after customers complained about having to repeatedly tap alongside the touch screen instead of just flicking a wrist. "Our customers and frankly, many of you, said, 'We want a knob,' so the knob is back," Jeff Conrad, then-senior vice president of Honda Division, said at a media event in Detroit last year to unveil the fifth-generation CR-V. But Honda and other automakers likely aren't done trying to find a better solution. Boyadjis said the volume knob will disappear when automakers figure out a way that doesn't annoy their customers. "My opinion is that they'll go back to something else in the future," he said, noting that Tesla doesn't use knobs and buttons but hasn't experienced any noticeable backlash. "It's not a permanent piece of the vehicle going forward." Drivers' interaction with technology in a vehicle's interior is a growing area of dissatisfaction, especially when it comes to basic features such the radio, climate controls and gauge cluster, said Kristin Kolodge, executive director of driver interaction and human-machine interface research at J.D. Power. "Consumers are very vocal regarding the executions that are being incorporated," Kolodge said. Much of their unhappiness stems from features being too hard to understand or too distracting. In 2016, J.D. Power began a Tech Experience Index Study that measures consumers' experiences, use and interaction with 35 vehicle technologies after 90 days of ownership. Across basic interactions, the 2017 study found an average decline in overall satisfaction of 83 points on a 1,000 point scale when an owner encountered a feature regarded as difficult to use or understand. J.D. Power asked respondents about their preference for basic controls. "They're overwhelmingly saying, 'We want physical controls for these functions,'" Kolodge said. She said consumer satisfaction with new technology varies. J.D. Power has received positive feedback about push-button ignitions, which have become more common even in low-priced small cars. "We've come a long way, but the level of complexity is going to increase," Kolodge said. Subaru has made a point to keep physical controls in its vehicles, such as the 2018 Crosstrek. Some automakers, such as Subaru, have been slow to remove buttons and knobs. 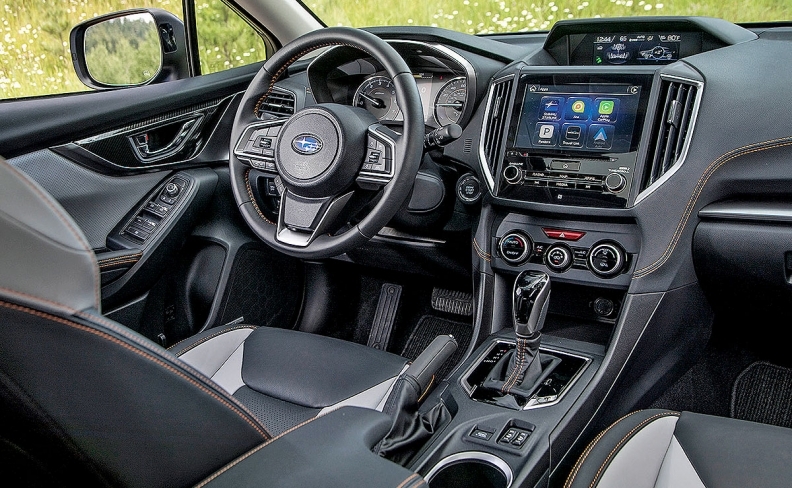 "We've been apprehensive to remove physical controls," said Anthony Landamia, Subaru of America's infotainment product manager. Subaru's reasoning is simple. New technology has not changed what its customers want in a vehicle. And Subaru sees having physical controls as a safer option because drivers can find and manipulate them without having to look away from the road. "We believe in keeping as many physical controls as possible," Landamia said. Jake Fisher, director of automotive testing at Consumer Reports, has criticized automakers for unnecessarily replacing frequently used controls with newer but less functional technology. "Smart automakers are going to bring [the volume knob] back and keep it there," Fisher told Automotive News. "They just did some really silly things. The worst is the capacitive slider that we've seen on Cadillac and Lincoln and Ford. This isn't reliability at all, but this is just basic usability. 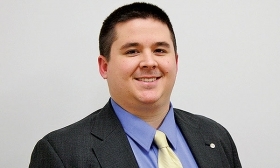 Capacitive controls are such a diabolical failure in an automotive application." Fisher pointed to his Apple iPhone as a cutting-edge product that uses physical volume controls. "Even the latest iPhone, we are not capacitive for volume," he said. "I mean, these are hard keys with feedback, and yet, an auto manufacturer is going to think a capacitive control is going to make sense in an area where you're moving and not be distracted? It's crazy." One interior component that almost nobody can agree on anymore is the shifter. Some shifters have, ironically, become similar to the buttons that have disappeared from other parts of the dashboard. The 2018 GMC Terrain features a layout that General Motors calls "electronic precision shift," which replaced a traditional shifter. 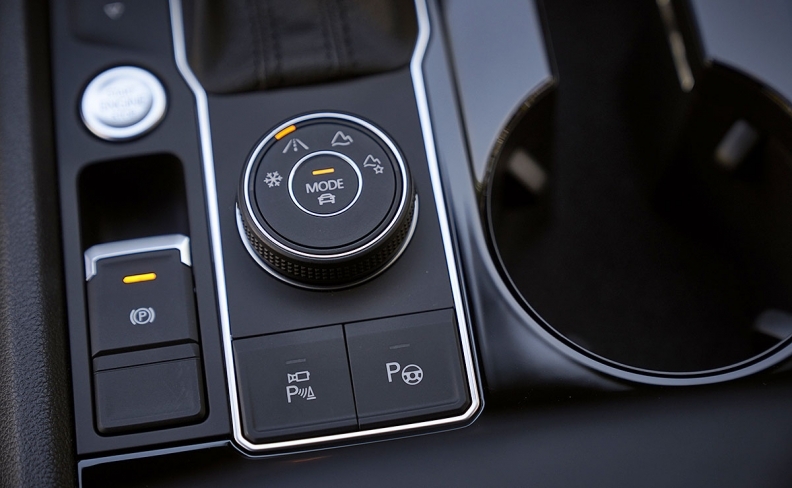 The new system includes buttons for park and neutral intermingled with toggle switches for drive and reverse. Honda's 2018 Odyssey has buttons arranged vertically in the normal PRND sequence, but the buttons are not alike: a small rectangular push-in button for park and neutral, a pull-down button for reverse and a large, squarish button for drive. Some designs have raised safety concerns. For example, Fiat Chrysler Automobiles' "monostable" design spawned a class-action lawsuit and a recall of 1.1 million vehicles. Despite the onslaught of new designs, IHS forecasts that traditional stalks and knobs will dominate the market for shifters, "as they are relatively inexpensive and well understood by the consumer base." IHS forecasts that nontraditional shifter designs will make up 48 per cent of the global automotive market by 2026, as automakers develop more flexible and unique designs. Of those nontraditional styles, IHS forecasts that nearly one-third will be center console-mounted electronic shifters and the rest divided nearly evenly among rotary-dial shifters, column-mounted electronic shifters and buttons and hard keys. 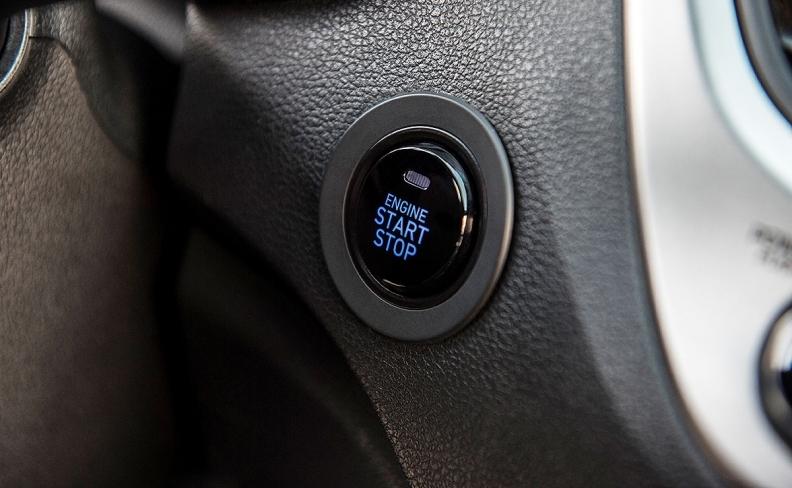 A push-button has replaced the traditional key slot on many vehicles, and it's even available on the 2018 Hyundai Accent, one of the least expensive new cars on the market. The CD player, rarely used anymore, poses a conundrum for automakers. Many vehicles still have it, but some brands have made it optional or moved it to an out-of-the-way location. In some Volkswagens, for instance, the CD player is in the glove box. But removing it is a decision not to be taken lightly. "There's a [customer] satisfaction decline when you take it out, but when you ask if they use it, they don't," Boyadjis said. "It's a paradox." While Boyadjis believes that the CD player is going away, he said it will do so gradually, pointing out the surprising longevity of cassette players, which were last made available by automakers for the 2010 model year. "It does take time to wear off," he said. Other components still hogging valuable interior real estate are also vulnerable, including dedicated climate controls. "But like the volume knob," Boyadjis said, "you need to be very careful on how to replace or change it." A parking brake button is a space saver. One change that consumers have welcomed with few complaints is the proliferation of digital instrument clusters to replace gauges with analog needles. 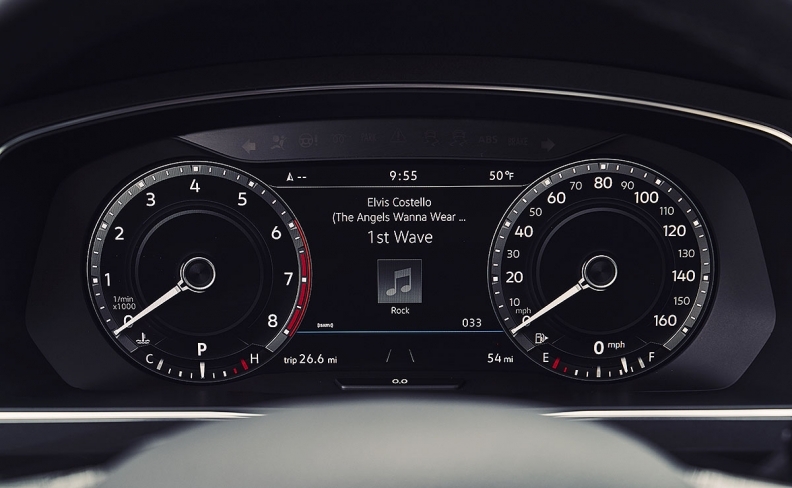 First available in luxury vehicles, the crisp, often customizable screens are increasingly common among mass-market nameplates, such as the Volkswagen Atlas, Tiguan and Golf R. In Europe, even Volkswagen's entry-level Polo now can be had with the same type of digital display as Audi's Virtual Cockpit. Toyota has made a center-mounted, digital instrument cluster a design hallmark for its Prius hybrid lineup. But that doesn't mean physical gauges are dead. "We will still see physical needles 10 years from now, but it will drop significantly," Boyadjis said. Some features stick around well past their prime in part so automakers can charge for an upgrade to the more modern version, or to keep the starting price for a base model as low as possible. It's still common for the lowest trim level of many popular nameplates to have a keyed ignition, physical parking-brake lever or basic AM/FM radio. But Boyadjis sees that changing as automakers continue to focus on reducing costs. "At a certain point," he said, "it becomes more economical to put some of the technology in all vehicles."